The global public cloud business process services market takes cue from the grander performance of the public cloud services market, which is expected to continue maintaining its multibillion dollar worth. Alongside cloud business process management (BPM), cloud business process services a.k.a. business process as a service (BPaaS) could be referred to a vital business process layer. This layer is studied to top other cloud services such as infrastructure as a service (IaaS), platform as a service (PaaS), and software as a service (SaaS). 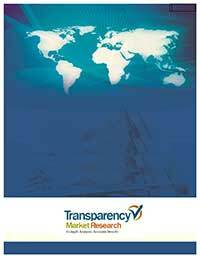 The authors presenting this market research publication have taken into account almost all the important factors deemed crucial for the growth of the global public cloud business process services market. Moreover, they have dug deep into the factors that challenge the market and those that offer opportunities to avoid any setback in future. Public cloud business process services alongside cloud BPM incorporate a feature-rich platform for business process services to deliver automated business outcomes for vertical as well as horizontal business processes. With the help of public cloud business process services, enterprises could be benefited with simplified operation and accelerated performance, informed decisions, flexibility, virtualized workplaces, and augmented transparency. Furthermore, public cloud business process services could find application in improving the agility of business processes, avoiding vendor locking, and amplifying the cost-effectiveness of process executions. The addition of cloud advertising as part of public cloud business process services could help the market gain a whole lot of importance in the near future. Without having the need to own an IT infrastructure and set up one, enterprises could use cloud computing for availing various services, applications, and software on pay-per-use basis. Cloud advertising had accounted for a sizable share in the total public cloud services market in the past and could continue to sustain dominance until the next few years. According to the analysts, the world public cloud business process services market could be cataloged into cloud payment services, customer management, e-commerce enablement services, finance and accounting services, supply chain management services, industry operation, and human resource management services by type of process. Amongst these, the human resource management services market is prognosticated to be ranked numero uno with a higher share of US$32.5 bn expected to be earned by 2022. By vertical, the world public cloud business process services market is envisaged to find opportunities in segments such as government, banking, financial services, and insurance (BFSI), healthcare, telecommunicating, media and entertainment, energy and utilities, retail/wholesale, manufacturing, and transportation. By enterprise, there could be two major markets prevailing, viz. large enterprise and small and medium enterprise. Regionally, Asia Pacific except Japan (APEJ) is envisioned to be in the driver’s seat of the world public cloud business process services market while rising at a 46.6% CAGR during the forecast timeframe 2017–2022. Other geographies such as North America, Latin America, Europe, Japan, and the Middle East and Africa (MEA) could also be key for the growth of the market. Some of the superior players in the worldwide public cloud business process services market could be Accenture PLC, Cognizant Technology Solutions Corporation, Microsoft Corp., IBM Corporation, Fujitsu Limited, Oracle Corp., Amazon Web Services, Inc., Salesforce.Com, Inc., SAP SE, and VMware, Inc.